Since the 1960s Central Saint Martins has played a crucial role in artists’ moving image culture in the UK – from feminist practice to the avant-garde. Celebrating this rich history, Temporalities, the Lethaby Gallery’s latest exhibition organised by British Artists’ Film and Video Study Collection and Central Saint Martins’ Museum and Study Collection, presents past student work alongside newly-commissioned works from our current postgraduate students. With the exhibition now in its final week, we spoke to Steven Ball, Curator and Research Fellow at the British Artists’ Film and Video Study Collection to find out more about the collection, the show and the significance of the College’s history of moving image. 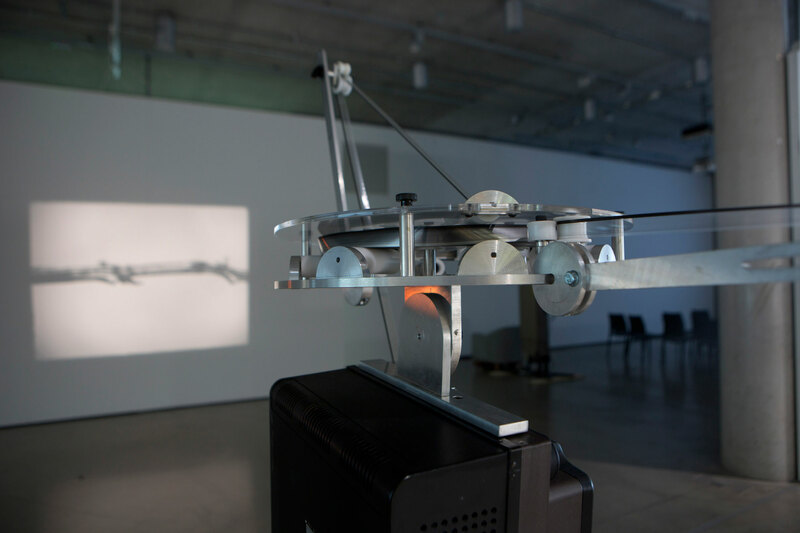 What inspired the Temporalities exhibition? Temporalities resulted from the convergence of a few things. 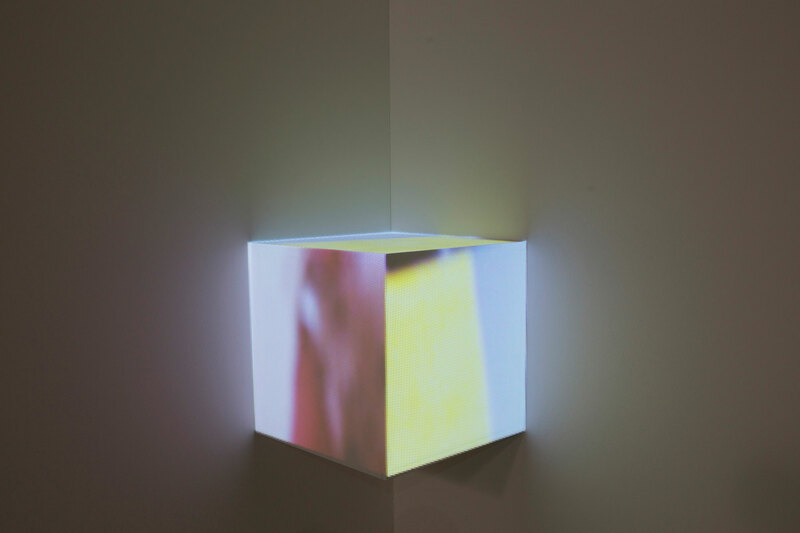 Initially, it was head of The Museum and Study Collection, Judy Willcocks’ idea that the museum’s 2018 exhibition should focus on moving image at the college. Another motivation was the existence of an ‘unofficial’ collection of alumnus film and video work dating as far back as the 1960s – to the earliest days of the Film Unit within Fine Art. This collection is held by Daniel Copley who is the head moving image technician, and an ex-student himself. It was fascinating to me because while it contained examples of work by students who would later go on to become quite well-known as artists, it also contained work by individuals who had disappeared, but which was just as interesting. The exhibition fundamentally became a way to mobilise that collection, not only to celebrate the successes, but also to get a sense of the breadth of work and approaches, and how the work itself and the interests of the students variably changed, persisted, and were returned to, across the decades. It was important to me to not just exhibit historical work, but also explore how it could be brought into the present, how could it be reconsidered through contemporary practice and how might it resonate. For this Susan Trangmar (Reader in Fine Art) and I worked closely with a group of students from across the MA programme, to produce new works which respond to that of previous students, which forms the Correspondence section of the exhibition. 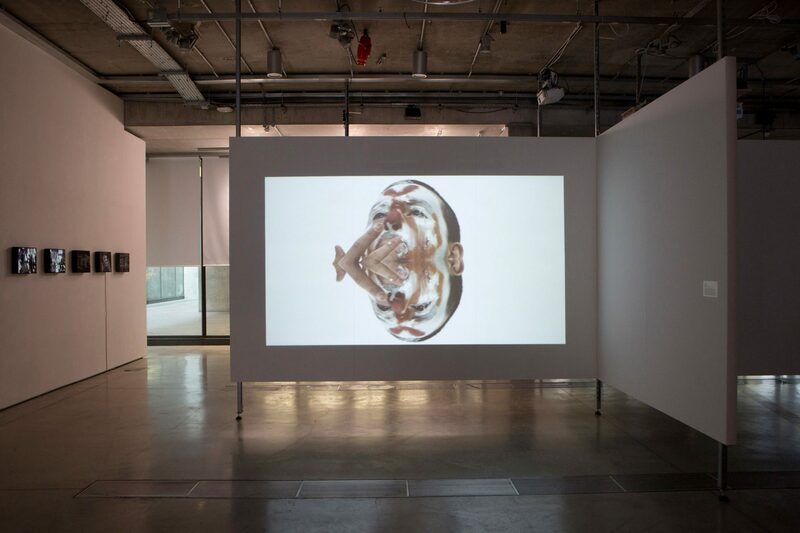 How has the history of fine art film and moving image work at CSM changed throughout the years? There is a long history of moving image at Central Saint Martins, most significantly in Fine Art which is where Malcolm Le Grice established the teaching of film as part of the painting course in the mid 60s. In those early days, there were close ties with London Filmmakers’ Cooperative, and the experimental film avant-garde. As Fine Art Film and Video became established through the 1970s and 80s many of the more significant film and video artists of the time joined the staff, such as Tina Keane and John Smith, and some of the most significant moving images artists of their generation, such as Sandra Lahire and Isaac Julien, were students. So, in the world of artists moving image practice, teaching at the college has been at the forefront, leading developments in the experimental avant-garde, following a clear trajectory through feminist and queer practice. In 2000 the Film and Video course merged with Critical Fine Art Practice to form the BA Fine Art 4D pathway, which continues to this day, and reflects, among other things, the changing context of moving image in fine art practice and theory. As such it has become less concerned with the specificity of moving image media, and more with the attendant spatial, critical, durational and performative concerns, while still providing students with a firm grounding in film and video history, theory and technology. 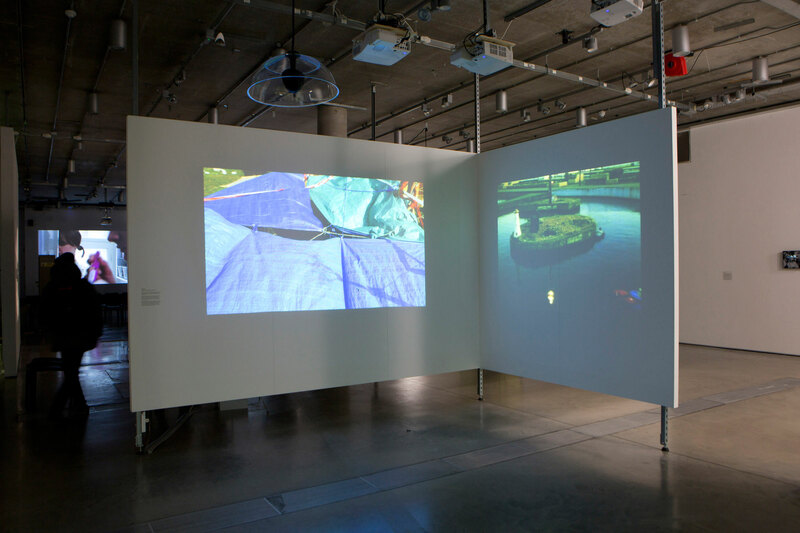 As moving image practice has become central to the gallery art world, more recent alumni such as Laure Prouvost and Ed Atkins have become highly respected and celebrated, as demonstrated, for example, by the fact that Laure won the Turner Prize in 2013. Can you tell us a bit more about Correspondence series? Correspondence was for me one of the more interesting and rewarding aspects of the Temporalities project. We had access to part of the collection of students’ Fine Art film and video, mostly from the 1980s though to the late 90s. Susan Trangmar sent out a call across the MA programme and we spent a number of viewing sessions with the students watching and discussing the work. From there they selected the works that they were most interested in responding to. We weren’t in any way prescriptive about what form that response should take, although we did talk about the conceptual, creative, and ethical implications of, for example, appropriating the material of the work. It did very much become a dialogue between generations, and some of the original artists became involved in conversations around the responses. The students who made the work were from across the MA programme. The resulting pieces include sculptural objects, constructions, multi and single-screen projections, projection mapping, text and sound. In some cases, the works mirror and develop the narrative, themes or politics of the original work, while others are more formal or re-interpretive responses. As they were made for gallery exhibition they all take the form of installation, and so necessarily also become concerned with spatiality. So can you tell us a bit more about the British Artists’ Film and Video Study Collection – how did it first come into existence? The collection was started by David Curtis in 2000, on the invitation of Malcolm Le Grice who was Head of Research at Central Saint Martins at the time. David had a long association with artists’ moving image. He was involved with the Arts Lab and the formation of the London Filmmakers’ Cooperative in the mid 60s, also working as a writer, curator, and organiser, and held the position of Film Officer at the Arts Council, from which he took early retirement before coming to Central Saint Martins. David is a committed collector – material he has gathered throughout his life forms the foundation, and a large portion, of our collection. How is the collection used (by students, artists and other institutions)? When the collection was first set up as a research resource project, it was primarily for use by doctoral, post-doctoral, and what might be considered ‘professional’ research. As such it was used by PhD students, research scholars, curators, writers, artists, and so on, from all over the world, and by galleries, museums, moving image exhibitors such as festivals, and academic research institutions – for everything from individual research to major exhibition projects in international museums. But in reality, anyone at any level of study, with an interest in the history of artists’ moving image is welcome. In the last few years the collection has also become a primary resource for students on the MRES Art: Moving Image course at Central Saint Martins. The collection has over 900 records, what can we learn from these artist files? The artist files contain anything and everything relating to an individual artist’s work, such as writings – both published and unpublished – correspondence, promotional material, press clippings and funding applications. Much of this material doesn’t exist in any form anywhere else, and it’s possible to find information relating to unrealised projects, or early outlines of work which may have subsequently developed differently to original plans or expectations. These can offer unique insights into the working processes of the individual artist, and are like liquid gold to many academic researchers! Which are your favourite pieces held by the Collection? That’s a very difficult question to answer! Rather than select specific examples, I would say generally the material that is rarely accessed. There has been such a growth of interest in artists’ moving image and its history over the last decade or so. There have been numerous publications and exhibitions dedicated to the subject, many of which the collection has contributed to; this is all great, but it can mean a filtering of areas of interest, a kind of historical orthodoxy. I often find researchers asking for a fairly limited range of material relating to a handful of artists. I like to try to also get them interested in more obscure, less well-known artists and works, which may otherwise be overlooked. Temporalities is open at the Lethaby Gallery until Saturday 24 March, visit the exhibition page to find out more about the show.